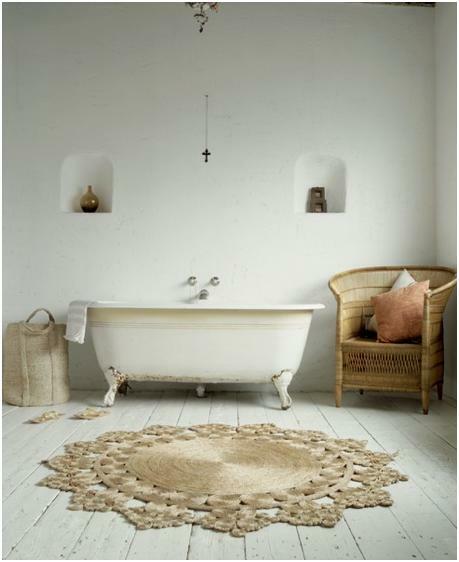 Mimic the look of this exotic bathroom, from the portfolio of stylist Laura Fulmine, with the following elements. 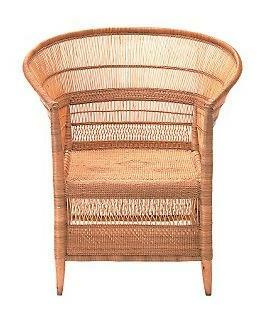 Above: Fine Cane Chair made in South Africa from handwoven bamboo and cane; $450 at Conran. 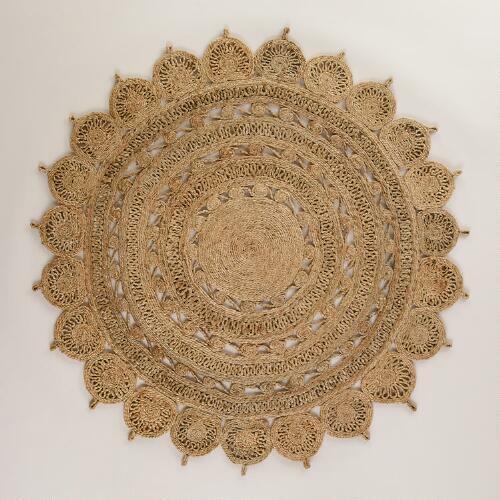 Above: Round Natural Jute Rug; $79.99 at Cost Plus World Market. 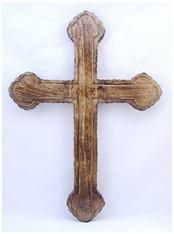 Above: Traditional Scalloped Wood Wall Cross; $20.95 at Wall Crosses. 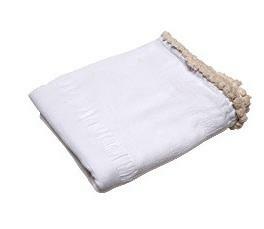 Above: Hand-Spun Cotton Khadi; $95 at the Gardener. 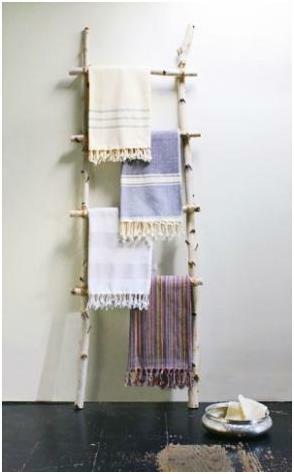 Above: Hammam Towels; $40 each at LaViva Home. 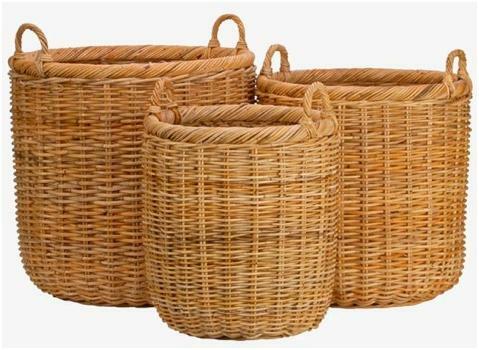 Above: Unpeeled Natural Rattan Baskets from the Basket Lady; available in five sizes, starting at $20 for the small size. 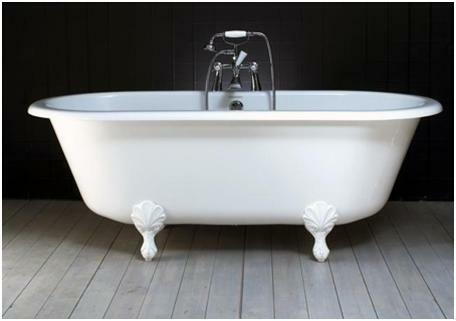 Above: Victoria and Albert Wessex Bath for $1,339 from Home and Stone. 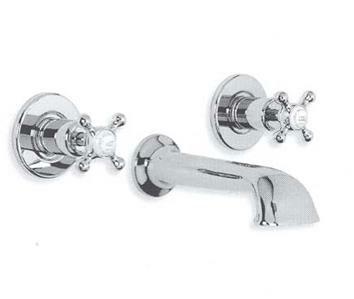 Above: Lefroy Brooks Connaught Concealed Wall Bath Filler; $1,084.50 at Quality Bath. 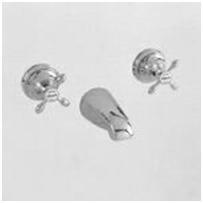 Above: A more affordable option is the Newport Brass 1645 Series Tub Valve Set; $405 at efaucets.